Full disclosure: I left my heart in New Zealand while studying at Auckland University of Technology. 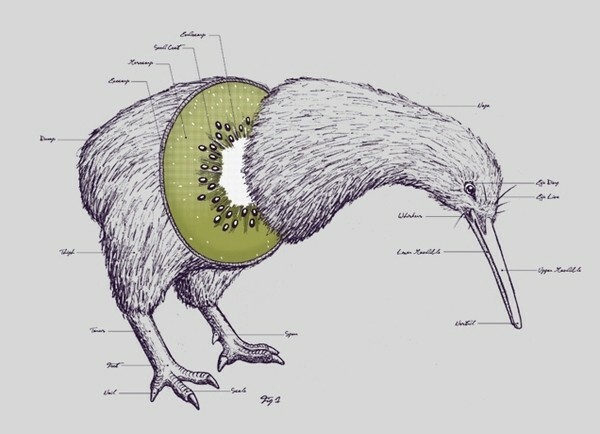 New Zealand may be kiwi country (as in the small bird, not the fruit), but the tech scene there reflects a native ancient bird much larger than the humble kiwi — the moa, also a flightless bird like the kiwi, but a 510-pound giant. The theory that explains the moa’s oversized figure is called insular gigantism. It says that creatures on an island are generally larger than their mainland counterparts because of a lower amount of predators. I’m proposing that the same ‘island rule’ also applies to the New Zealand tech scene. New Zealand is bigger than you think, and here’s why. For a country that holds just 4.5 million people, the degree of innovation is unprecedented for a community that’s smaller than 50 of the world’s cities (each individual city, not cumulative). New Zealand and Australia tech investments have grown 8x since 2011 (referencing the above graph from CB Insights). New Zealand has one of the best angel-to-entrepreneur ratios with $414.7 million invested into startups by angel groups since 2006 (credit: Andy Hamilton). $61.2 million was invested into 94 companies across 132 deals in 2015 compared with $56.4 million across 119 deals in 2014 — that’s 9% growth year-over-year. Before the moa went extinct around 1440 C.E. due to overhunting, they could consume nearly any type of plant because it swallowed gizzard stones that helped it grind and disrupt harder materials. After spending the last week between Auckland, Christchurch, Queenstown, and Wellington on a startup tour representing 500 Startups with Air New Zealand’s Inspiring Voices and Kiwi Landing Pad, an organization built by John Holt, Sam Morgan, and Sian Simpson to support the expansion of New Zealand startups internationally, I met over 250 startup founders, and every one of them had a diverse technology diet — from their tech stack to their type of business. The kiwi companies focused on sectors ranging from agriculture to creativity to a surprising amount of B2B SaaS. B2B/SaaS — New Zealand’s biggest global tech company is the Xero accounting app. Soon to be trading on the NYSE, Xero, helmed by Rod Drury, has over 500,000 customers worldwide and a $3 billion valuation. This has paved the way for other B2B software companies, including POS startup VEND, founded by Vaughan von Vend, that has raised just under $40M in venture capital, to piggyback on Xero’s success. Creativity — Design, music, and film have always been strong suits for NZ, including companies like Melodics, a beautiful persuasive technology platform for learning instruments from the past CEO of world-famous DJ software Serato (also built in NZ). New Zealand is also the home of Weta, a visual effects company that has worked on major film productions like Lord of the Rings, Mad Max, and, more recently, Ghost in the Shell featuring Scarlett Johansson, which I was in town to see the filming of. FrontierTech — Drones, machine learning, and AI, oh my — building modern solutions with the most advanced tech is something I found common in NZ, but it’s no surprise when you have world class organizations like Google using NZ as a testing bed for future forward technologies like Google Loon, the ballon internet plan to give wireless internet access to the world. AgTech — it’s no surprise to most people that there are more sheep than humans in NZ, or that feeding a growing global community will be a major challenge in the years to come, so that’s why NZ is competitively positioned to support farms worldwide. Haptly is one early stage company using drones to monitor pasture based farms. AdventureTech — traveling to find adventure in New Zealand is the norm with the country holding the ‘adventure capital of the world’ award year after year, but adventure technology is requiring major innovation in engineering, content, and insurance. One example is WhereWolf, which streamlines the legal contracts and customer registration process for bungee jumping to sky diving. The Haast eagle used to hunt the moa. It was the largest eagle in the world, ever. 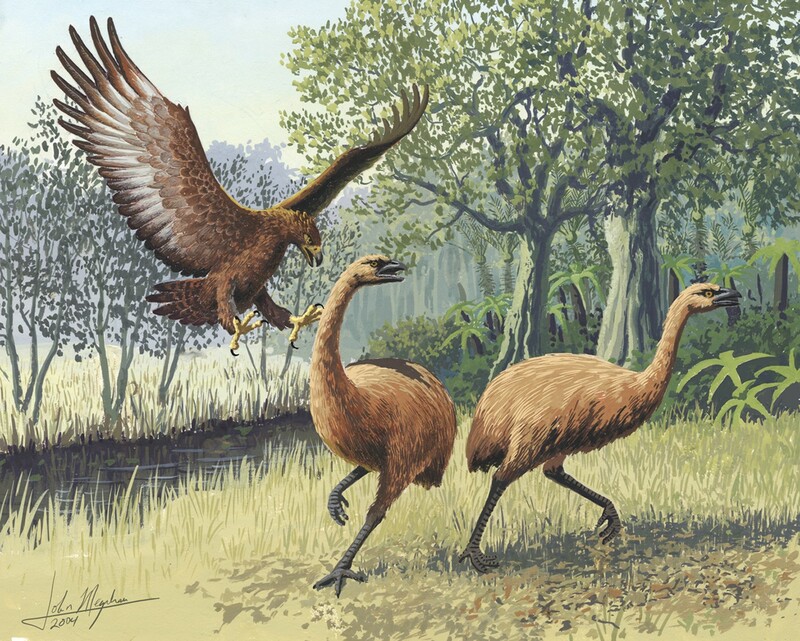 Now imagine the Haast eagle working together (for the greater good of New Zealand, of course), and catching and dropping moas into nearby new lands to expand their territory. New Zealand has a competitive geographic position when it comes to expansion into Australasia, Oceania, as well as greater Asia. Not to mention that New Zealand is the first country to see the rising sun and is always a day ahead of the U.S.
New Zealand is also a look-alike market to the western world, so it’s a perfect test market before scaling globally. The funding scene continues to grow at a rapid pace initially spurred by the Trade Me Mafia (reminiscent of the PayPal Mafia led by Peter Thiel, Reid Hoffman, and Elon Musk) and accelerated by the New Zealand government getting more active in innovation through it’s creation of Callaghan Innovation. In addition, more accelerator and incubator programs are opening, corporate innovation is increasing with new programs like Vodafone’s Xone accelerator in Christchurch, and the New Zealand Super Fund is investing in venture capital. There’s also something sustainably smart about Kiwi culture and how earnest founders focus on building real businesses with revenue first much like that of The North, Scandinavia, Canada, and other geographies that aren’t solely reliant on Silicon Valley venture capital from day one. All of these factors point to a particularly bright future for Aotearoa — the long white cloud.